How Is American Idol 2011 Getting Along Without Simon Cowell? American Idol 2011 ended last week dumping all speculation that the show would be plastered without Simon Cowell. In the contrary it unexpectedly did better. 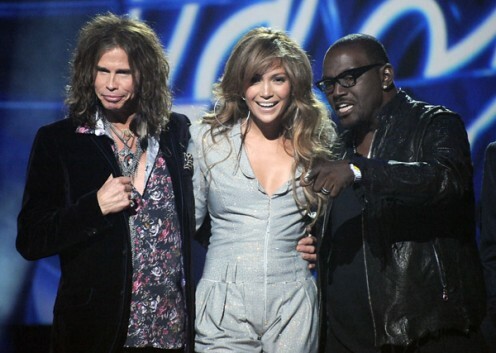 New judges Steven Tyler and Jennifer Lopez seemed in viewers’ eyes give refreshing outlook the way they conduct their comments towards the contestants alongside with veteran Randy Jackson. A lot of people thought the show would not succeed without Simon Cowell around. Feedback on the new set of judges did not sit well but their approach of lighter and gentler side of judging made the people realize that it was a refreshing change. Though the over-all ratings of season 10 is slightly lower than that of season 9, the finale episode of season 10 had more viewers and higher ratings in comparison to season 9, with Lee DeWyze and Crystal Bowersox competing in the finale. American Idol 2011 was an exciting event, where some of the best talents were assembled on the show, naming later in the finale both country crooners Scotty Mccreery as the winner and Lauren Alaina placed second. The two have shown a promising careers ahead of them. Their respective single debut on billboard are on their way up the charts. And also, the most important thing to happen this season was the selection of the new set of judges, Steven Tyler and Jennifer Lopez together with contestant mentor Jimmy Lovine.